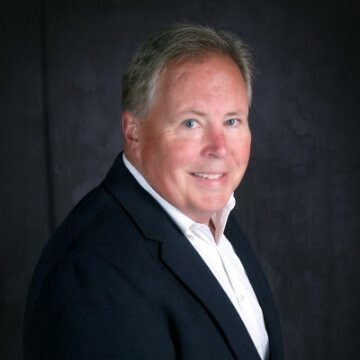 Dr. Lashbrook is President and Founder of Sports Management Worldwide, the first ever online sports career training company with a mission to educate and train future sports business executives. SMWW trains thousands of students every year for sports business careers from over 162 countries. 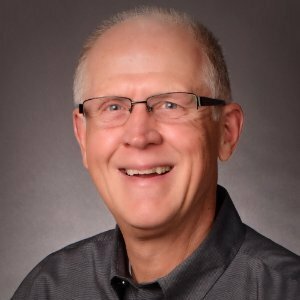 Dr. Lashbrook has been in sports management for over 40 years and has demonstrated a lifelong passion for helping students strategize and reach their career goals in the world of sports. Dr. Lashbrook has served at the collegiate level as an athletic academic advisor and athletic director. At the professional level, he has been an NFL sports agent for over twenty years representing over 100 NFL clients. Jeff is Vice President of Operations of Sports Management Worldwide. Jeff joined SMWW in 2008 and achieved the status of Director of Basketball Operations in 2009. He became an NBA-certified agent in 2010. 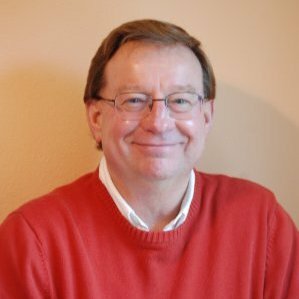 Jeff received his Bachelor of Science in Personal Finance from Oregon State University and his MBA at Marylhurst University. Combining his education and professional experience, Jeff has been in the finance industry for over 10 years. Jeff is widely respected for his relational talents, communication skills and his proven ability to motivate, train, and mentor associates. In 2014, Jeff became an NFL certified agent. Dino is the Regional Scout for the Tri-City Americans of the Western Hockey League. Based out of Lethbridge, AB, Caputo has been with the Americans for the past 8 years and his hockey experience includes working as an assistant coach at the University of Lethbridge and Head WHL Scout for 5 years with International Scouting Services. He has also been part of Hockey Canada's program of excellence as a former college hockey player for the same University of Lethbridge, he was an Academic All-Canadian, and was nominated nationally for the Dr. Randy Gregg Award for leadership, academics, and community service. In his 5-year junior hockey career, he played for WHL Victoria Cougars, BCHL Prince George Spruce Kings and captained the Trail Smoke Eaters. Dino is also an instructor for SMWW's Hockey GM & Scouting Course. Joel was a Sports Agent for 16 years, representing NFL & NBA players. In 1992 at Management Plus Enterprises, who represented top-level athletes including Ronnie Lott, Hakeem Olajuwon, and Shaquille O'Neal. Joel left Management Plus in 1995 to co-found Premier Sports and Entertainment, which focused on representing NFL players, college, and NFL coaches. He was the primary and co-negotiator of numerous NFL player contracts, including Hall of Famer John Randle's 5-year, $32.5 million contract with the Minnesota Vikings (1998), Patrick Surtain's 6-year, $44.63 million contract with the Kansas City Chiefs (2005), which made Patrick the highest paid player in the franchise's history. Randle's contract made him the NFL's highest-paid defensive player with unprecedented guarantees that have become the norm in the most lucrative NFL contracts. Other Premier clients included Pro Bowlers Eric Allen, Keenan McCardell, and Jimmy Smith. Joel served as a consultant with Management Plus for several years after starting Premier. As a consultant, he played an integral part in the negotiation of Shaquille O'Neal's Los Angeles Lakers contracts ($120 million over 7 years & subsequent 3-year, $88.3 million extensions). 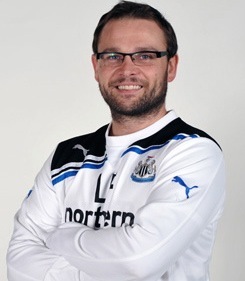 In 2012, Joel became a contributing writer for the National Football Post. He uses his NFL salary cap and collective bargaining agreement knowledge to provide a perspective on player salaries, contract negotiations and the salary cap that is rarely seen in the media. In 2013, Joel began writing for CBSSports.com on similar topics, but for a larger audience. Joel also appears regularly on radio shows, including SiriusXM NFL Radio. For nearly 40 years Hank Jones worked the Pacific Northwest region as a trusted scout for the Los Angeles Dodgers, helping the organization win two World Series (1981, 1988) and succeeding under four different ownership groups, seven general managers and five scouting directors. Often when there is an organizational regime change, the scouting staff is turned over to new members. But not Hank. His reputation in MLB is beyond reproach, and every new GM and scouting director wanted Jones to stay on their staff. A slick-fielding middle infielder, Jones was drafted in the 15th round of the MLB Draft to the San Francisco Giants in 1972. He played three seasons in the Giants minor league system before joining the Dodgers organization in 1976 Rule 5 Draft. For the rest of his career in baseball, he represented Dodger blue. As a scout, Jones was assigned to the Washington, Oregon, Idaho, Montana, Wyoming, Alaska, Hawaii, and Western Canada areas. He was a fixture during the draft, often the only amateur scout allowed in the room due to his highly sought-after judgment and reputation. His expertise is baseball scouting, player evaluation and understanding organizational decision making is beyond compare. Sign up for SMWW’s Baseball GM and Management online course and you can learn from this pillar of the game. 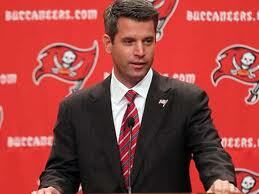 Mark Dominik joined the Tampa Bay Buccaneers staff at just 24 years old as a pro personnel assistant and worked his way up the ladder to General Manager while contributing to seven playoff teams and a Super Bowl championship. He developed the right skills to be hired and advance to the highest operations position, and now he's teaching them to people like you. "We're going to talk about all the little steps you can take to become a scout or a general manager in the National Football League," says Dominik. "My mindset is to give you anything I can to help you find a way to distinguish yourself from anybody else." After leaving the Buccaneers in 2013, Dominik began working for ESPN as an analyst, adding a media perspective to his experience operating a team. "I've seen a lot of ways people try to get openings or opportunities, I know what teams are looking for and I know what works and what doesn't," says the University of Kansas graduate. "The Football GM and Scouting course offered by SMWW, helps you learn how to get ahead, the right way. I think that I can help people break through a barrier that they weren't able to get through before." Syd Douglas is the Managing Director of the world's largest rugby player and coach recruitment company, Rah Rah Rugby. Syd has been involved in rugby in almost every facet of the game. As a player, coach, and personal consulting in over 20 countries around the world. 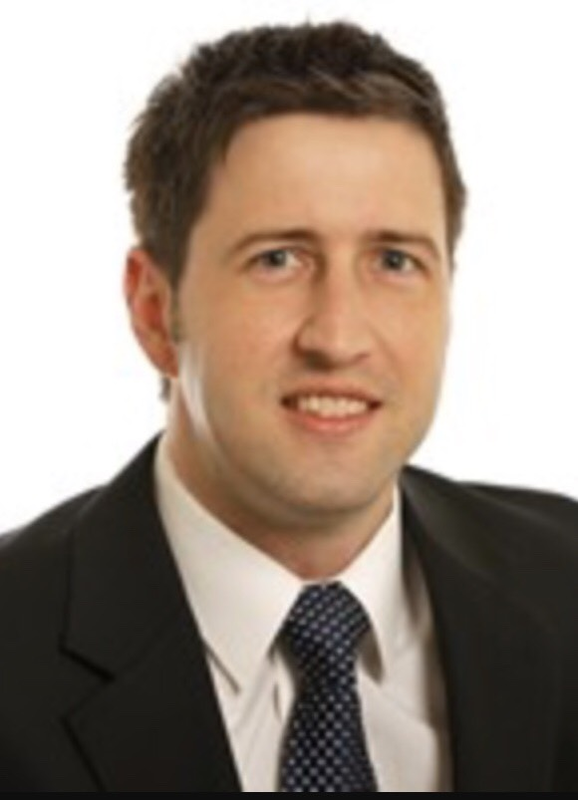 Syd has extensive experience with various rugby competitions, the business sides of rugby, and rugby human resourcing. Syd and his dedicated recruitment team at Rah Rah Rugby, (RRR) have successfully been working with the goals of their clients for almost 10 years. RRR was founded to address the needs of the 'up and comer' or 'semi-professional' rugby player and coach. RRR has a team of twelve managers and administration staff strategically located across the world dealing with the recruitment of both men's and women's rugby. Rah Rah Rugby has an unprecedented client database of close to 30,000 members from around the globe made up of players, coaches, clubs, and supporters from all levels of the game. RRR network includes over 1500 rugby clubs from over 100 rugby nations. Gary Ellis, began his career in motorsports broadcasting live radio reports from the Indianapolis Motor Speedway. Memorable interviews include Mario Andretti and IMS President, Tony Hulman. His work also included sales and parade operations for the 500 Festival Association. Ellis enjoyed a successful career with Kellogg’s product sales, but stayed in motor racing, writing the original marketing brief that launched Kellogg’s 10+ year sponsorship of Hendrick Motorsports in NASCAR. During this time, Gary developed and launched Kellogg’s first licensed merchandise retail program, providing retailers with NASCAR products and co-sponsorships on the Kellogg’s car. After managing several media campaigns for Kellogg’s, Ellis received an offer to join the newly-created CBS Promotions Group in Chicago. While he managed many programs, the “The Stoli MiGs” jet air show team featuring Soviet-era MiG-17’s, is the most enduring. Gary managed sponsor relationships with Stoli, later with Smirnoff, and successfully transitioned the jet team into The Patriots L-17’s, which continue to perform before NASCAR and IndyCar races at Sonoma Raceway and other air shows on the West Coast. In 2010, Ellis launched a consumer products consulting company, guiding fledgling companies into retail distribution. No longer bound by a corporate schedule, he joined IndyCar, traveling the world with the Timing and Scoring Team. Along the way, he’s built new relationships with racing teams and renewed old ones. Downloading transponder data for the Indy Racing Experience allows time for “bench racing” with Arie Luyendyk, Davey Hamilton, and the legendary, Mario Andretti, who now drives the two-seater for IndyCar. And no, Mario doesn’t remember that first interview with Gary. Dan Evans, former GM of the Los Angeles Dodgers, has been in professional baseball for over three decades and has had decision-making roles with five MLB franchises throughout his career. Including the White Sox (1981-2000), Chicago Cubs (2000-2001), Dodgers (2001-2004), Seattle Mariners (2004-2007), and the Toronto Blue Jays (2013-present). Evans' experience is wide-ranging, as he is the only former General Manager of an MLB club who also led a baseball agency. In addition, Evans has been a broadcast analyst for MLB games, is the author of "108 Stitches," a column for Baseball Prospectus, and is a member of the Baseball Prospectus Advisory Board. Evans also evaluates talent for the Toronto Blue Jays, overseeing their entire Pacific Rim operations. In addition, Evans has been a broadcast analyst for MLB games, is the author of "108 Stitches," a column for Baseball Prospectus, and is a member of the Baseball Prospectus Advisory Board. Evans also evaluates talent for the Toronto Blue Jays, overseeing their entire Pacific Rim operations. 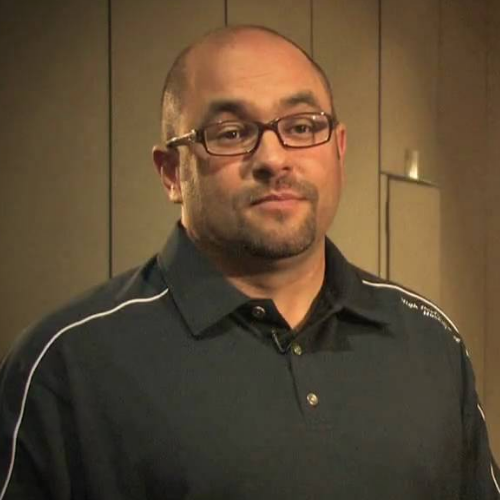 Jeff Forbes is the Director of Grassroots- Synergy Sports Technology. Prior to working with Synergy, he worked with Kansas basketball under the direction of Head Coach, Bill Self. Jeff has a Masters of Science in Education, with an emphasis in Athletic Administration, and a Bachelor of Arts in English. Whilst at Premiership Rugby, Mick worked with all twelve Premiership clubs on their community marketing programs and attracted support from Powergen for the inaugural National Community Rugby Programme. He also worked on the first two Premiership Finals at Twickenham as well as personally developing the London Double Header concept – where over 70,000 fans annually attend the season-opening games in London. In 2004, Mick returned to Newcastle Falcons as Commercial Director where over the next four seasons the club established attendance records and league-high levels for both sponsorship and retail sales. In 2008, a move to rugby league's Wigan Warriors as CEO saw two seasons that culminated in the club's first Grand Final success in twelve years. 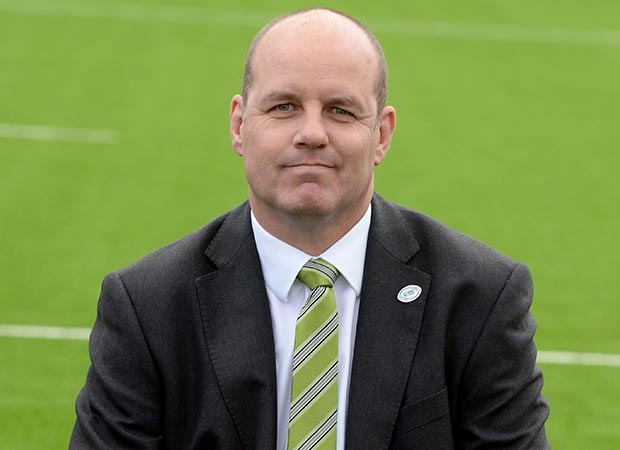 Mick then spent two years as CEO of Sale Sharks and led the negotiations for the club's move from Stockport to a new purpose-built rugby stadium in Salford. At both Wigan and Sale Mick set up and chaired both clubs' charitable Community Rugby Foundations. 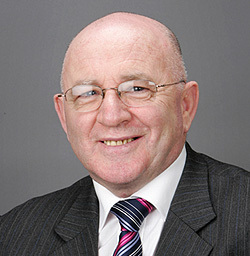 In 2012, Mick set up his sports consultancy – MMG Sports Ltd. He worked for two and a half years for England 2015, the organizing body for the 2015 Rugby World Cup which will be staged in twelve English cities as well as Cardiff. The work for England 2015 saw Mick head up City Delivery and he managed the process that identified and selected the thirteen host cities for the Tournament. Now back at Newcastle for a third spell, Mick is currently Managing Director at Newcastle Falcons as well as Chairman of the Falcons Community Foundation. The club has also acquired Newcastle Thunder Rugby League and will deliver the official Rugby World Cup Fanzone on behalf of the City Council. Philip brings a proven, 25-year global track record in the Performance, Casual, Action Sports and Outdoor industry to SMWW. He has gained product management experience in both performance and sportswear/lifestyle footwear, apparel and equipment/accessories in Europe, Asia, and the USA. Philip held senior leadership positions at NIKE and The North Face (VF Corporation). More recently, Philip has consulted with various brands in the industry and is a full-time executive recruiter for Martens & Heads. His global brand and industry background and recruiting activities have helped him build an extensive industry network. 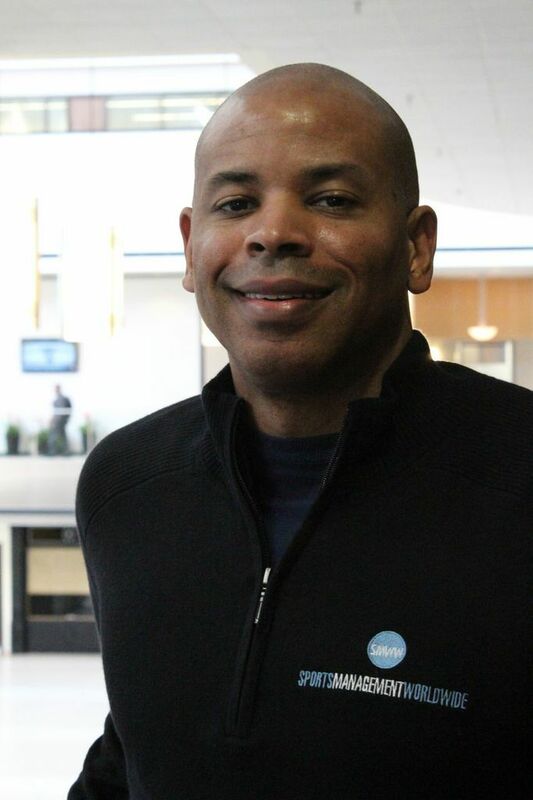 Greg Hylton is the Indianapolis Colts Vice President of Premium Seating and Ticket Sales. Greg has been with the Colts for over 18 years. Prior to VP, Greg served as Director of Ticket Sales and Marketing from 2001-05, Director of Ticket Sales from 1998-2000, and Group Sales Manager from 1997-1998. 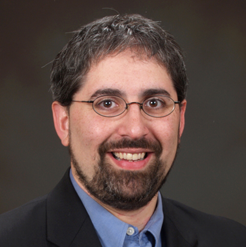 Greg holds a bachelor's degree in communications and psychology from Indiana University. Prior to working with the Colts, Greg started with the Indiana Pacers from 1990-91 and with the Indianapolis Ice from 1991-97. Greg has worked his way up the ladder and is now excited to mentor passionate and hardworking individuals to do the same. 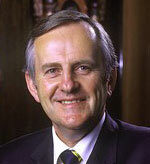 From 1980 to 2007 Ken Jacobs managed significant growth in Australian Cricket as CEO of Cricket Victoria in Melbourne, Australia. Jacobs was responsible for the management of an increase in participation levels from 100,000 to 185,000 across 1,100 cricket clubs in Victoria and a growth in revenue from $500,000 to $25 million. He was also responsible for the implementation of Cricket Victoria's first strategic plan, its renowned local government and volunteer recognition program and the development of the intellectual property and branding program for the Boxing Day Test Match. Jacobs was engaged by the International Cricket Council as Event Manager for the staging of Cricket's ICC World Cup in the Caribbean region. Cricket Victoria is also responsible for the staging of international cricket matches in Melbourne at the world famous Melbourne Cricket Ground (MCG) on behalf of Cricket Australia and during his period as CEO Ken was involved in the management and delivery of many international matches involving all of the major Test match playing countries - this included the iconic Boxing Day Test matches played at the venue each, the 1992 World Cup; and a host of one-day international matches played at the venue. Jacobs now manages his own consultancy business and has recently been engaged in the development of a strategic plan for a significant state sporting body, a national sponsorship agreement and equipment review to benefit cricket clubs and Associations throughout Australia, consulting work for one of Australia's leading national sports travel companies, and has also been involved in the development and implementation of a corporate Twenty20 cricket competition in Melbourne. 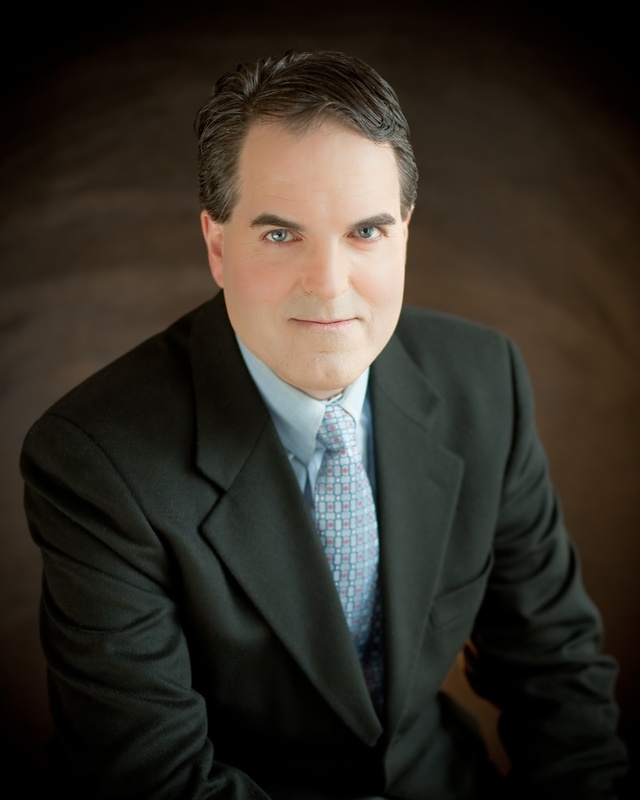 Bret Kanis is an agent/attorney with the Hightower Law Firm in Pensacola, Florida. Mr. Kanis is a certified player agent with the National Basketball Players Association. Mr. Kanis' agent practice primarily involves representing professional basketball players, both in the U.S. and internationally; however, he also has experience in representing professional baseball, football, and hockey players as well as basketball coaches. Mr. Kanis has sports marketing experience, having worked with professional and Olympic athletes with respect to their endorsements and marketing as well as a minor league sports league with respect to league-wide sponsorships. Mr. Kanis' legal practice primarily involves representing closely-held businesses and their owners in all aspects of general business and tax law (including the formation of business entities, the acquisition and disposition of businesses and tax planning) as well as estate planning. As part of Mr. Kanis' legal practice, he has represented professional athletes in contract negotiations, contract disputes and their off-the-field business ventures and personal matters; ownership groups in their potential purchase of professional sports franchises; and student-athletes in issues relating to their National Letter of Intent. Mr. Kanis graduated with a B.S.B.A. from Washington University in St. Louis; a J.D. from Pepperdine University School of Law; and an LL.M. in Taxation from New York University School of Law. Mr. Kanis received the highest grade in his sports law class where his professors were prominent sports agents, Dan Fegan (basketball) and Barry Axelrod (baseball). Upon graduation from law school, for 2 years Mr. Kanis co-authored a bi-weekly sports law article that was published in the George Washington Law School, Pepperdine Law School, and Hofstra Law School Newspapers. Throughout his career, Mr. Kanis has had the opportunity to work with high-round draft picks, Hall of Fame athletes and Olympic Gold medalists in various capacities as an agent and attorney. Bret is a regular speaker at both our Portsmouth Basketball Invitational Career Conference and the Vegas Summer League Games Basketball Career Conference. In the live interactive weekly audio chats, you will get to know Ari Kaplan. Ari is a leading figure in sports analytics, having worked with over half of all MLB organizations and many global sports media organizations. His baseball career spans 25 seasons, and Sports Illustrated named Ari "Top Ten General Manager Candidate". He received Caltech's "Alumni of the Decade" distinction for pioneering groundbreaking sabermetrics used to evaluate pitcher talent. Crain's Chicago Business also recognized Kaplan's work in business, baseball, and humanitarian endeavors by including him in their annual "40 Under 40" cover story. Kaplan is President of Scoutables with Fred Claire, the former World Champion Dodger GM. Scoutables has provided advance scouting and analytics to broadcast and online media and over half of all MLB organizations. In 2010, Cubs owner Tom Ricketts brought in Kaplan to create and lead the organization's analytics department. Kaplan's work included roster strategy, forecasting, advance scouting, player/coach game preparation, Minor League player development, draft analysis, international, arbitration, financial, budgeting, marketing, and community outreach. During his tenure, Kaplan led the in-house analytical and technical transformation. Taking this course will be similar to sitting in his office for one hour every week. An opportunity of a lifetime for baseball sabermetricians. Ari is one of the few long-term baseball leaders with a proven track record at Fortune 500 companies, as well as successfully running several high-profile organizations as CEO or President. On the media front, Ari co-authored five best-selling books on analytics, databases, and baseball. Ari's work has been profiled on CNN, Chris Matthews, and the Today Show. One of Ari's high-profile analytics projects was turned into a documentary on the History Channel. 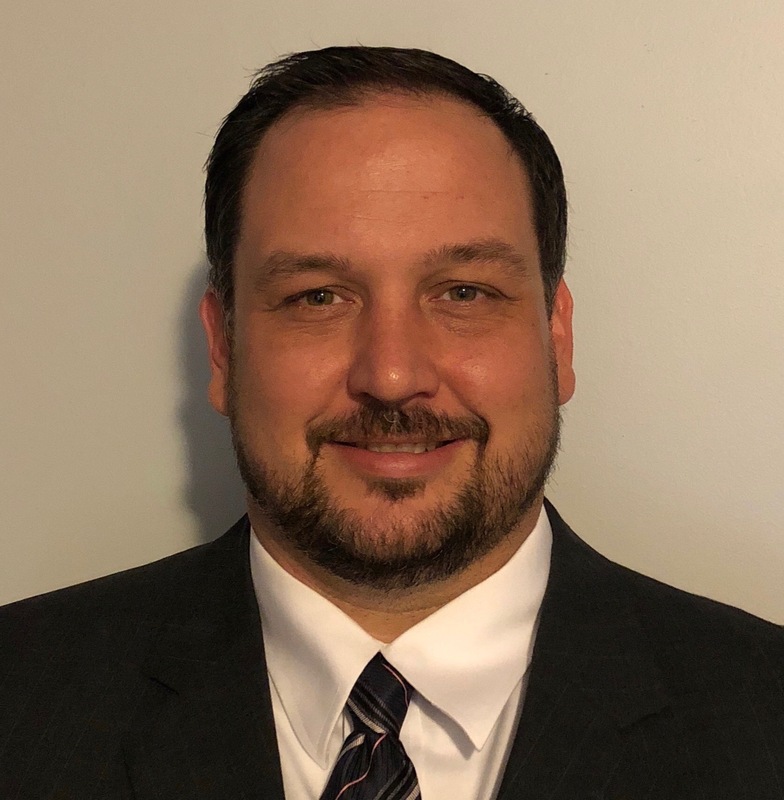 Adam is a native of Green Bay, Wisconsin, Adam Klimek is a graduate of University of Wisconsin-Green Bay (2000) with a degree in Business Administration with an emphasis in Marketing. Adam is a transplant to Portland, Oregon and was the GM of a restaurant and brewery in Gresham, Oregon for 10 years. Adam now works personally with NFL Agent Dr. Lynn Lashbrook, assisting him with recruiting NFL prospects. He also works with NBA agents Jeff Brodie and Brett Kanis in recruiting NBA and European basketball players. He works very hard at maintaining self-actualization that reflects a person with high moral, cultural and ethical standards. Adam offers assistance in contract negotiations, financial and investment services, income opportunities with appearances, and product endorsements. Adam coached football for 10 years with the Green Bay Eastside Bulldogs. 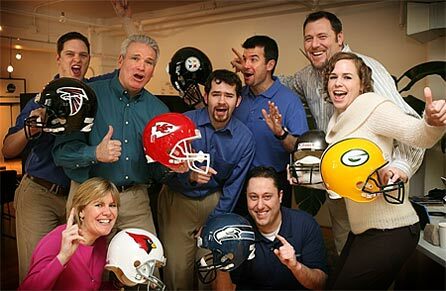 Currently, Adam is a Sports Career Counselor, helping people fulfill their sports dream job. Dr. Jim Krause, President of Winning Sports Programs and Board Chairman of WSE International, brings a wealth of experience to anyone in coaching. Coach Krause has had a 25+ year coaching career with stops at every level, including top assistant coach and recruiting coordinator for the University of Oregon basketball team under Jim Haney. Dr. Krause's coaching experience has included basketball, football, softball, baseball and golf at the University level and basketball, men's and women's soccer and softball at High School. Dr. Krause has authored three books on the game of basketball including Guardians of the Game, a Legacy of Leadership, and believes building championship programs is a process that can be learned and repeated regardless of sport or level. 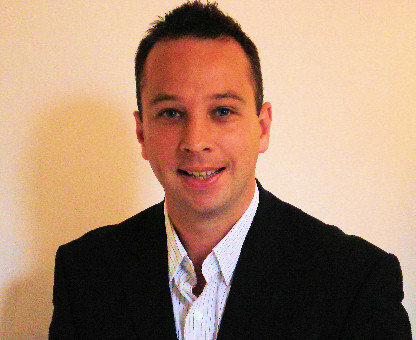 Jon has been a Sports Career Advisor with Sports Management Worldwide for five years. He has helped thousands of students get their foot in the sports industry door, helping to start their careers in the field they love. A truly devoted advisor, Jon knows the ends and outs of all our courses and can help guide you in the direction best suited for you. Jon is a History graduate of University of Wisconsin – LaCrosse, and moved out to Portland and followed his passion in the sports industry. Jon has an extensive understanding of statistics, prospects, free agency, recruiting and drafts particularily in NFL, NBA, MLB and NCAA Basketball and is eager to share this knowledge with students. Jon knows who is doing the hiring and what they look for in new hires. Contact Jon if you would like more information on SMWW Career Course and how they might help you! Liz Lashbrook is the Executive Director of Sports Management Worldwide and a 30-year veteran of the sports industry in sales, marketing, advertising, project management and taking care of what needs taking care of. Liz has been an integral part of the growth of SMWW since her beginning with the company in 2004 when there was just one course, one conference and one faculty member (her husband and business partner, Dr. Lashbrook). Now, SMWW offers over 25 courses, has 50 faculty members and hosts industry leading sports career conferences 8 times per year at major sports events including the NFL combine, Baseball's Winter Meetings, the NHL Draft and the Portsmouth Invitational Tournament. 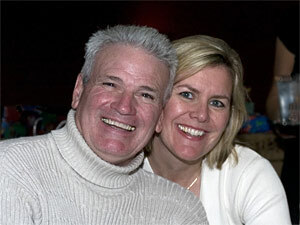 It all started with a one-month sabbatical, where Liz imagined she would take some time to help Dr. Lashbrook grow SMWW. That one-month sabbatical turned into a decade plus of growing the business through her efforts in marketing, advertising, developing the sales force and the businesses online presence. A small ambitious company with 100 or so students has since developed into the most respected online sports skills training company with over 15,000 alumni hailing from over 162 countries. An expert in advertising Liz has worked with SLAM, Hockey News, Hockey Now, Cricketer, Sports Business Journal, Sports Pro Magazine, Baseball America, WorldSoccer, FourFourTwo, Rugby World, Fox Sports News, ESPN Radio, ESPN, Fight Magazine, Sherdog, National Speedsport News, and National Dragster to help grow the SMWW brand. Prior to joining SMWW, Liz was the Sales & Marketing Manager for Cascade Athletic Clubs, a small family-owned chain of clubs in Oregon and Washington. Tasked with managing over 20 sales people at five different athletic facilities in the region, Liz handled the marketing efforts for the corporation and was an active speaker in the health club industry at regional and national conferences. At SMWW, Liz focuses on just about everything, with a mission to improve the student experience while increasing the probability of students attaining a sports job. Tom Leip is the Internal Consultant for Avenir Sports and Entertainment. Previously, he was the President of Business Operations at Salem-Keizer Volcanoes Baseball, a Short-Season Class A team affiliate of the San Francisco Giants. 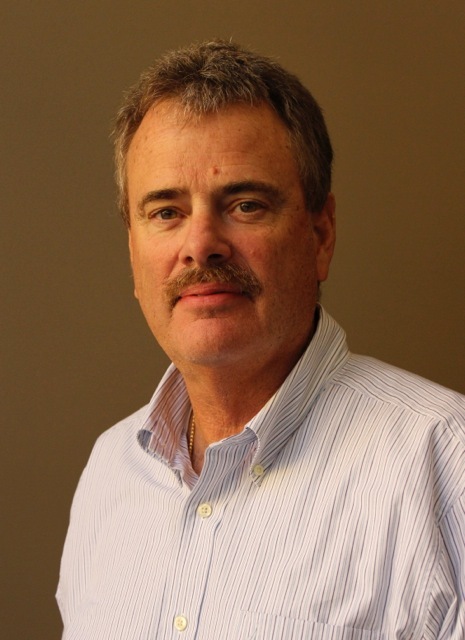 A former General Manager of FC Edmonton of the North American Soccer League, Tom has spent over 30 years working in minor-league sports (baseball, hockey, and soccer) in markets like Rochester, Nashville, Eugene, Spokane, the Twin Cities, Kansas City, and Portland. Tom is the former Executive Director of the Northern Baseball League. In addition, Tom has spent four years as an Asst. Athletic Director at a Division 1 University. 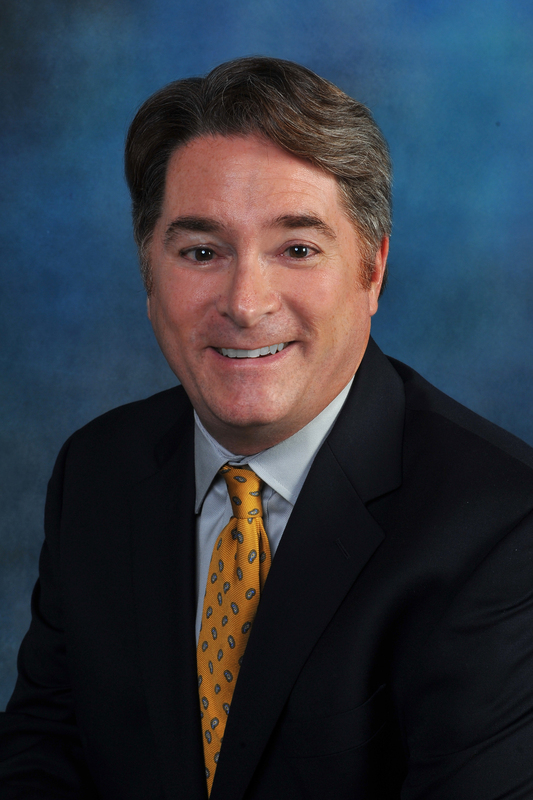 He has been the top executive for organizations operating multiple teams and broadcast entities, the top executive for a league, a consultant, and a collegiate administrator. Matt Martin is the Director of the Academy Scouting Network for Real Salt Lake (RSL). Matt manages a nationally dispersed group of scouts for MLS’ premier residency and academy development set up. Real Salt Lake's Academy is a leader in youth development with multiple players representing RSL in the youth national team and even more, working their way into the first team MLS team and USL Real Monarchs. Matt reports directly to Asst GM, Elliot Fall, and Academy Director, Martin Vasquez, under the vision of GM, Craig Waibel. Prior to RSL, Matt spent 3 years as Domestic Scouting Director at Portland Timbers FC (2015 to 2018). Matt developed a scouting network under John Pascarella at Sporting KC from 2011 to 2015. He trained and managed the network after being a regional scout (2008-2011) in MLS’ first scouting network developed by Jeff Agoos, Technical Director and Head Scout for New York Red Bulls. 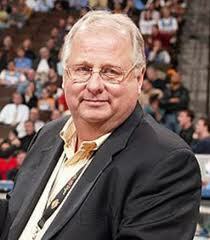 Matt also worked for The Scouting Network (TSN of London, ENG) under Derek Bragg from 2007 to 2009. Tim Mead begins his 39th season in the Angels organization and 21st as Vice President of Communications. He oversees media relations, publicity and broadcasting for the Club. Before his current appointment, Mead spent four seasons as assistant general manager (1994-97) under former GM Bill Bavasi. Mead, 59, began his career with the Angels as an intern in the Public Relations Department in 1980. He was appointed director of media relations in 1985 and later assistant vice president of media relations in 1991. During his tenure in media relations, Mead and his staff have been responsible for the handling of media during the Angels’ 1986, 2004, 2005, 2007, 2008, 2009 & 2014 postseason appearances, the 1989 and 2010 All-Star Games at Angel Stadium and the Halos memorable World Series run in 2002. In April 2002, Mead took part in the Joint Civilian Orientation Conference (JCOC) designed by the Department of Defense. He was one of 60 civilians chosen by the Pentagon to attend the conference, traveling to the Pentagon, Norfolk Naval Air Station in VA, Sheppard Air Force Base, Sheppard, Texas, Fort Bragg and Camp Lejeune, NC and Ofutt Air Force Base in Omaha, Nebraska to see the United States Strategic Command Center. The trip is designed to present a clearer picture and understanding of the military to civic and community leaders across the country. The Athens, Greece native is a 1980 graduate of Cal Poly Pomona with a bachelor of science degree in communications. He is a member of the board of directors for the Ronald McDonald House (Orange, CA) and assists other charitable groups and programs such as Amigos de los Niños, the Sunburst Youth Academy and GRIP (Gang Reduction Intervention Program) in Orange County. Mead also serves on the advisory committee for the sports management program at Long Beach State and the Dean’s advisory board for the College of Communications at Cal State Fullerton. He and his wife Carole have one son, Brandon. Scott Moore is a nationally recognized sports talk radio personality and an in-demand guest speaker and entertainer. Moore primarily focused on the SEC, where he is the host of iTalkSEC, a top-rated sports show reaching over 900,000 households. Moore has had the privilege of speaking at the National Quarterback Club in Washington, D.C. with General Colin Powell, the NFL MVP Award Ceremony, and the ESPN College Football Awards. In addition, Moore served as host of CSTV's 'Coast to Coach' and has been a featured guest speaker at five BCS Bowls, including the Fiesta Bowl, Orange Bowl, and Sugar Bowl. Additionally, Auburn, Alabama, Clemson, Florida, California, Kansas State, Mississippi State, Ole Miss, Tennessee, Florida State, Virginia Tech and Ohio State have al hired Scott to entertain and motivate their players. Mike Oke is the Peterborough Petes' General Manager. 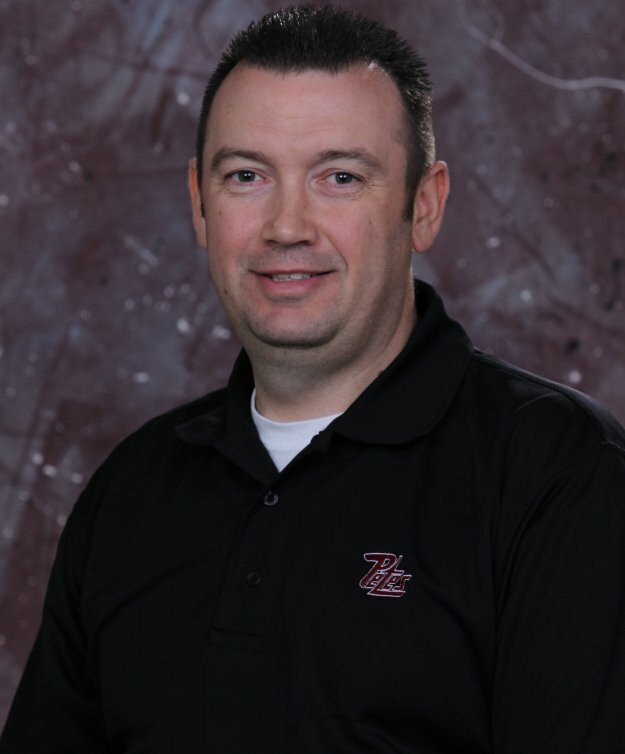 Prior to his role with the Petes he worked with International Scouting Services (ISS) as Chief Scout and was promoted to the position of General Manager/Chief Scout in September of 2008. Among his many duties, Oke was responsible for overseeing the day to day operations of ISS as well as the scouting staffs responsible for producing reports on players eligible for the NHL Draft, as well as the WHL, QMJHL, OHL and CHL Import Drafts. Mike was an Assistant Coach in charge of video with Team Pacific at the 2008 WorldUnder 17 Hockey Challenge, worked as the Director of Player Personnel and Assistant Coach with the Oshawa Generals from 2004-2006. He spent four years as Assistant Coach at Wilfrid Laurier University of the Ontario University Athletic Association, where he played a role in the Hawks trip to the Canadian Interuniversity Sport (CIS) National Hockey Championships in 2001 as well as four years as Full-Time Head Coach/Manager with the Trenton Sting of the Ontario Provincial Junior A Hockey League, winning the OPJHL Eastern Conference Championship in 1998. He is a graduate of the Sports Administration program at Durham College. Dean is known as a pioneer in the analytics that helps govern many basketball teams, from the NBA to high school. His book, Basketball on Paper, was written at the same time as Moneyball and helped him to enter the NBA in 2004 as the first statistical consultant, working for the Seattle Supersonics. He has since worked with several other NBA teams' front offices and has been part of several very successful organizations. Dean went to ESPN during the 2011 NBA lockout, where he headed up the development of their sports analytics group, working on both basketball and football with on-air talent, producers, and executives at the company. He earned a bachelor's degree in engineering at Caltech while playing on the basketball team. While serving as an Advanced Scout in college basketball, Oliver received his Ph.D. in environmental engineering at North Carolina and Stanford.Dean's work has been published in numerous places, is in regular use on television and radio, and he is often asked to give talks to business and educational groups. His book has been lauded by legendary basketball coach Dean Smith, and by sabermetrics pioneer, Bill James. Dr. Chuck Patterson, founder and President of Career Planners, has a doctorate in higher and adult education with over 30 years of experience as an academic advisor, athletic counselor and college instructor at The Ohio State University, the University of Missouri and Miami University of Ohio, along with high school experience as a guidance counselor, teacher, and coach. Dr. Patterson is a published author and lecturer in the fields of career exploration, student development, academic success and athletic counseling; a member of the National Academic Advising Association and served as an advisor on college athletic policies, regulations, and ethics to professional sports management personnel. Dr. Patterson consults with SMWW students, helping to make key decisions in the students' sports career plans. 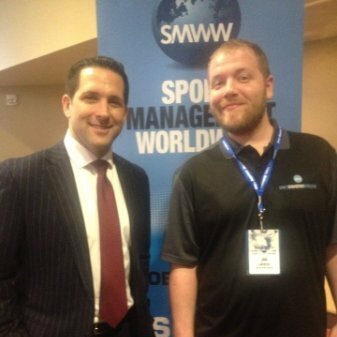 John Print is SMWW's Director of Soccer, registered intermediary with the English FA/USSF and a Licensed FIFA Players Agent for over 8 years. As an agent, John has represented clients at all professional levels in England, across Europe and the USA, including the EPL, MLS, and USL. In addition, John also works as a freelance soccer scout for professional teams in England providing opposition analysis and individual player assessments. Besides working in soccer, John represents Olympic/Paralympic athletes and other sports personalities. Prior to working with SMWW, John worked with UK Sport within their International Relations and Drug-Free Sport Departments. He was also a partner with a London-based sports agency, SIML before setting up his own agency called Sports Talent, which focused on promoting athletes with promotional and media projects. Highlights include proving talent for Global TV Commercials on behalf of Nike, Adidas, EA Sports, Pepsi and Castrol, and soccer talent for Timbaland's Worldwide No. 1 music video - "The Way I Are". John has a tremendous understanding of what it takes to market a player at every level of the game. His combined scouting and agent experience with teams and clubs at all levels is unique and a huge asset for SMWW clients looking to play at the highest level. 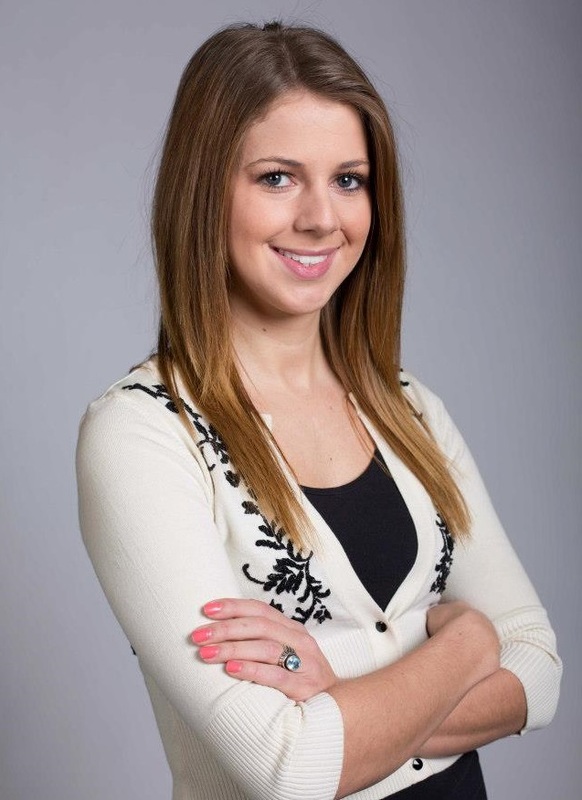 Previously an Intern for Sports Management Worldwide, Alyssa was hired full time as the Agency Operations Director in March 2013. 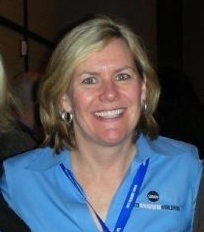 Alyssa helps guide SMWW Agent Advisors as they become an integral part of the SMWW Agency. Alyssa assists over 150 SMWW Agent Advisors through the recruiting and draft process with their clients. This includes updating Agent Advisors on all upcoming try-outs for each sport. Alyssa is also the SMWW Student Services Director, helping students successfully complete their sport business courses, and handling all student service needs. Alyssa has a Bachelors in Business Administration from Portland State University. Manny Schmidt is the founder and President of Link Management International and has been a key influencer within the Sports and Entertainment Industry for more than 19 years. 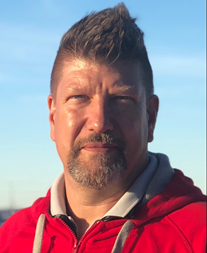 Based in Edmonton, Alberta Canada and a graduate of the University of Alberta, Manny oversees all aspects of Link Management, its various operational divisions and all members of the Link Management Team. Since first established in 1995 as a leading provider of business and personal market branding solutions for the sports, entertainment and service sectors, Manny has lead Link Management to expand its market presence with the formal introduction of the Link Management International Sports Agency in 2009 and The Link High Performance Athlete Development Division in 2013. The Link Management International Sports Agency is a full-service micro agency that specializes in the development, representation, and management of elite athletes throughout North America, with an active and growing client base in its Hockey, Football, and Olympic Divisions. Over the years Manny has had the opportunity to work with and guide the careers of numerous top Professional Athletes, Olympians, and Entertainers and has been called upon as a strategic advisor to many corporate executives both in North America and aboard. As part of his experience, Manny has structured and negotiated multi-million dollar transactions and professional contracts have led the design and implementation of numerous specialized brand positioning and marketing campaigns and has facilitated the partnerships of various personal endorsement deals along with a variety of product and property sponsorship deals. 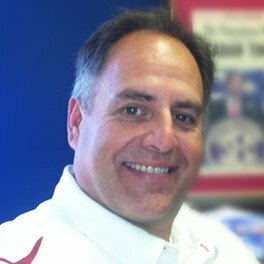 As President and CEO of Link Management International, Manny oversees and remains responsible for all contract negotiations and strategic direction of its clients, and to continue to guide the ongoing growth of the firm as one of the leading full-service micro sports agencies in the industry. Manny Schmidt is a graduate of the Athlete Management course and has successfully been mentored by Dr. Lynn Lashbrook & met all the requirements of becoming an SMWW Agent Advisor. This includes agent regulations and player association legalities, contract negotiation, endorsements, sponsorships, ethics, collective bargaining agreements, draft preparation, marketing and recruiting. Manny is well adept at preparing you for your sports career and has the ambition to attain the knowledge, skills, and experience needed for a successful professional athlete. He will do whatever possible to represent your interests and help you achieve your goals as not only a sports professional but also your life after sports as well. Manny takes a fully integrated approach to his clients' wealth, personal life, career, and post-career challenges with the goal to simplify and enhance your life. Manny is also a regular guest speaker at the annual Hockey Career Conference at the NHL Draft. NHL Hall of Famer Harry Sinden is a living legend of the game of hockey, his name immortalized on the Stanley Cup twice, once as a coach of the 1970 Boston Bruins championship team, and again as an executive with the Bruins 2011 championship squad. Over his 50 years as a coach, GM, President, and Senior Advisor to the Boston Bruins, Sinden was instrumental in leading the team to a North American major professional record 30 consecutive playoff appearances, which included five Stanley Cup finals. Before getting into coaching, Sinden was an accomplished player, winning the silver medal as a member of the Canadian national men's hockey team in the 1960 Winter Olympics. To learn the inside game of hockey from someone as experienced as Harry Sinden is a chance unlike any other. Students speak directly each week with Harry Sinden, and after successful completion of this course, you can add him as a reference to your resume. 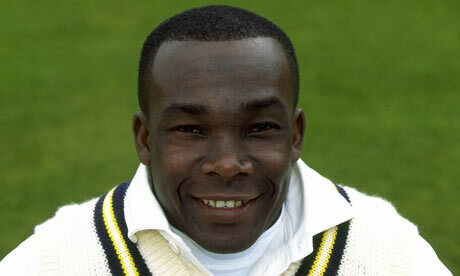 Born in Barbados, Gladstone Small moved to England at age 14 and qualified to play cricket for his adopted country, competing in 17 Tests and 55 One-Day Internationals (ODI), including two Cricket World Cups. Small's most famous achievement on the English side was on his initial call up on Boxing Day morning 1986 when he took seven wickets and was named "Man of the Match" as England took a 2-0 lead and a hold on the Ashes. While still in the midst of his playing career in 1994, Small decided to go back to school and study Business Administration and Marketing which helped the right-handed fast bowler in his post-playing career. After retiring in 1999, Small joined the Professional Cricketers Association (PCA) and eventually became Director where he was instrumental in growing the association to become a respected stakeholder within cricket. Since 2008, Small has been primarily an ambassador for the PCA, consulting on various sponsorship and partnering deals, and acting as a motivational speaker, while contributing his time and efforts to various charities including Lords Taverners, Chance to Shine, Prostate Cancer, and SPARKS. 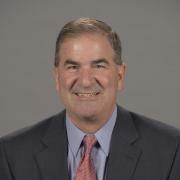 Irish-born Tommy Smyth joined ESPN in February 1993 as a soccer analyst for ESPN, ESPN2 and ESPN International. He is an anchor of ESPN Soccernet Press Pass, ESPN International's global football roundtable discussion and is a game analyst for Italian Serie 'A', La Liga, the UEFA Champions League and FIFA World Cup qualifying matches. Smyth's list of credentials is extensive. He has covered the 2010 FIFA World Cup, UEFA European Football Championship 2008 (Euro 08), worked on three other FIFA World Cups (1998, 2002 and '06) and the 1998 FIFA Men's World Cup in France. He also provided studio analysis for ESPN2's World Cup 2Night, and ESPN & ESPN2's pre-game and halftime coverage. He co-hosted Latin Futbol Weekly on ESPN2, seen in more than 200 countries via ESPN International (1993-99). At ESPN, he has called over 2,500 international matches from all over the world, leading up to the 2002 World Cup he co-hosted ESPN International's "Road to World Cup 2002," aired in over 150 countries. Smyth has also provided game analysis for Major League Soccer's NY/NJ Metrostars as well as national MLS telecasts on ESPN and ESPN2. Smyth has also worked as an analyst for ESPN's coverage of MLS. 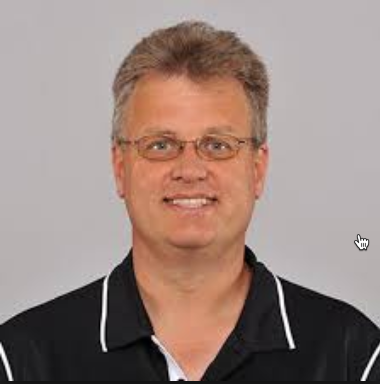 As the Jacksonville Jaguars Assistant Director of Football Technologies, Mike Stoeber is an expert in the field of digital video editing with XOS Digital. Prior to Jaguars, Stoeber was the Senior Field Support Representative at XOS Digital, working daily with teams to help them implement the technology into their scouting and coaching departments. Stoeber's football career began at the University of Florida where he was Director of Football Operations and Director of Game Analysis. He also has a Master's degree from the University of Florida in Sport Administration. Stoeber has his finger on the pulse of the industry and is well aware of what teams are hiring and what they are looking for. He is perfectly suited to teach you. Oscar Suarez is a certified agent with the MLBPA and has been in business since 1988. However, his initial tasks were in the accounting and insurance world having served as the VP of audit for two major insurance companies and as the CFO of the individual division of another insurance conglomerate. He has and still represents numerous clients in their baseball contractual needs and also in other facets of their daily lives, ie financial, real estate consulting, winter ball placement and other international job opportunities. His clients include MLB players such as Armando Reynoso, Elmer Dessens, Ricardo Rincón, Francisco Cordova, Juan Castro, Joakim Soria, Ed Vosberg, Dennys Reyes and Oscar Villarreal to name a few. In addition, he has sent various players to Asia, including Balvino Galvez, a longtime star for the Tokyo Giants, Japhet Amador, Karim Garcia, Julio Franco, Domingo Martinez and Carlos Baerga. Oscar is also very involved with his son, Gabe’s sports career, having helped him when he played but also at present assisting him with his different business ventures, ie independent baseball franchises which help in the placement of players and non-playing personnel who are looking for an opportunity to return to affiliated baseball or continue to excel in the indy circuit. Finally, he has also assisted field staff personnel with their contractual needs especially with international opportunities; clients include ex MLB managers, Tim Johnson and Al Pedrique. After several years at the Times, Tanier spent two years as the primary NFL writer for Sports on Earth. He's now an NFL Lead Writer for Bleacher Report, sometimes Football Outsiders contributor, author of two sports books, father of two, and America's poet laureate of Jay Cutler jokes. Mark Warkentien is the Oklahoma City Thunder Special Assistant Evaluator. With over 35 years' experience working in basketball, including his former position of Director of Player Personnel for the New York Knicks, Mark Warkentien is one of the most respected executives in the NBA. Prior to the Knicks, Warkentien was the General Manager of the Denver Nuggets where he was named NBA Executive of the Year in 2009 for his work helping the Nuggets reach the Western Conference Finals. Warkentien has held other executive positions with the Cleveland Cavaliers, where he was Director of Player Personnel and interim GM for the latter half of the 2004-05 season, and the Portland Trail Blazers, where over a ten-year period he was a Scout, Director of Scouting, Assistant GM and Director of Player Personnel. His career in the NBA started as a scout with the Seattle Supersonics in 1991. Before the jump to the NBA Warkentien had a very successful career in college basketball, coaching several Southern California college basketball teams before joining the staff of UNLV as an assistant coach under the legendary Jerry Tarkanian. During his time with the Running Rebels, the team advanced to the NCAA Elite Eight four times, the Final Four three times and won the 1990 NCAA Championship. Warkentien graduated with his Sports Leadership Master's degree in May 2014 from Concordia University Chicago, a partnership program with Sports Management Worldwide and is currently enrolled in the Doctorate program. The 2007 Oregon Sportscaster of the Year, Wheeler has been active in sports broadcasting since calling play by play soccer, women's softball and basketball at his alma mater, Loyola University Chicago. Listen to a sample of Brian Wheeler's Play by Play of the Portland Trail Blazers vs. Dallas Mavericks in a playoffs game. Since 1959, the year he was drafted by the Cleveland Browns in the 5th round, John Wooten has been a fixture in professional Football. After retiring from the game in 1969, Wooten has held a multitude of executive roles in player personnel and scouting with NFL teams including the Cowboys, Ravens, and Eagles, and currently acts as chairman of the Fritz Pollard Alliance. "Respectfully, professionally and affectionately, John Wooten is known as the Godfather, because of the breadth and depth of his service and what he has meant to the NFL as a player, scout and front office executive," acknowledges Ray Anderson, former NFL Executive Vice-President of Football Operations. Wooten has long fought for diversity and inclusion in the sport, helping to establish the "Rooney Rule" requiring teams to interview minority candidates for head coaching and senior football operations positions in the league. As chairman of the Fritz Pollard Alliance, Wooten has helped establish processes to develop talented minority candidates for NFL positions. 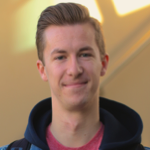 Ike was recently hired in June of 2018 after interning with Sports Management Worldwide and has come on to assist Alyssa Rutherford, Dr. Lynn Lashbrook, and the SMWW Staff with the Agent Advisor Program, client recruitment, student services, and curriculum development for future courses. Ike is a Portland native, but sought out his bachelor’s degree from Bond University, in the Gold Coast of Australia. Ike studied Sports Management at Bond, to pursue his love of sports and to better understand the global appeal of the industry and its impact. He came to SMWW to learn the ways of being an agent to professional athletes and hopes to represent clients by the start of next year. 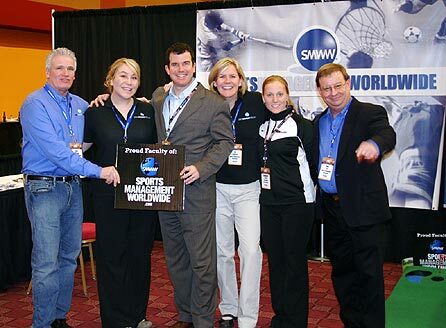 Sports Management Worldwide offers a great opportunity to be mentored by Dr. Lashbrook while working alongside like-minded people to grow SMWW and further its positive impact on the world of sports and those looking to be a part of it. in your new sports career!"